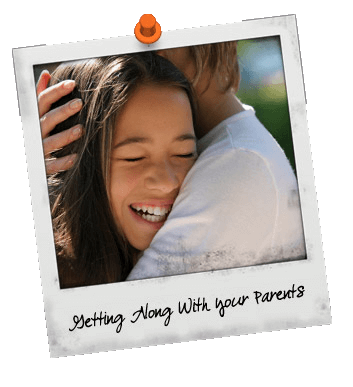 During your teen years, you may find that you are fighting with your parents about everything and anything. This is not unusual. As a child, your parents did everything for you and that was okay. But now that you are a teenager, you can do a lot of things for yourself. As you develop, you begin to have your own opinions and ideas, and your parents are not ready to handle this yet. It is a big shock for them to see a whole new person grow out of the child you once were. The adjustments that both you and your parents go through during your adolescent years cause the fighting. You feel grown-up enough to do something; they feel the opposite. Also, your parents’ first instinct is to protect you. So while you may not feel like you are doing anything wrong, they may dislike a few of your friends, or not want you to go to a party where everyone will be drinking. How can I deal with my parents? Make a deal – for example, you want to stay out two hours later. Your parents want you to get an A on your next math test. Make a deal that if you get the A, you can stay out later. It’s a win-win situation!